This tutorial will review the process of enabling and configuring payment modules in CubeCart. As payments are one of the most important things for an online store, you will have to configure that on your end. First, you need to log into your website as administrator. Locate the Modules tab from the main menu on the left side of the screen and then click on the Payment Gateways. Click on the Edit button next to the payment gateway that you wish to configure on your website. 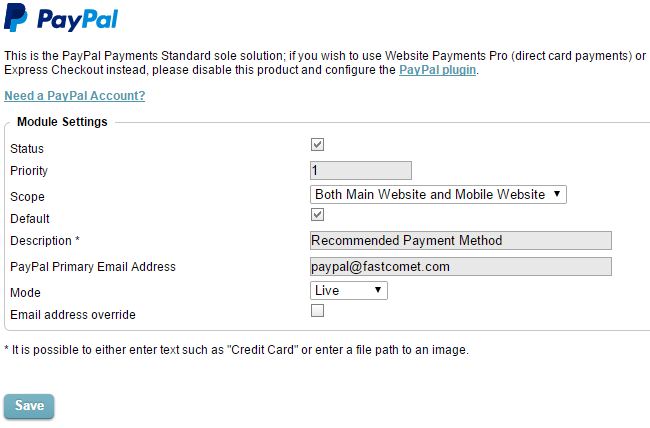 Check the box next to Enable and configure the rest of the options for the payment module. When you are ready, simply click on the Save button to keep the changes.